Every once in a while, there’s the occasional question of how much longer the LTFWHI project can be sustained — we’re coming up on three years now, Frank, and well over 150 entries. (Not to mention two books!) That’s an awful lot of telling, right there. But before this blog ever turns in its gun and badge, there are certain frontiers we have yet to explore. Certain things I have promised to tell you about that you should never be denied. Space: Above and Beyond is one of them. 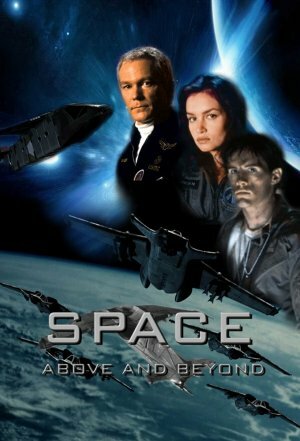 Frank, as we’ve long since established, if you were a science fiction show made in the 1990s, I at least watched one or two episodes of you. And if you aired on Fox, I probably watched the full damn season you were allowed to air before getting canceled. As a young lass, I’d always feel profoundly lonely when I would turn to television in search of a character to identify with and came up empty. I mean, as a white woman, things coulda been a lot worse for me. But when I was growing up, my hope for evidence that not fitting in wasn’t a terminal condition was filled with frustrations. 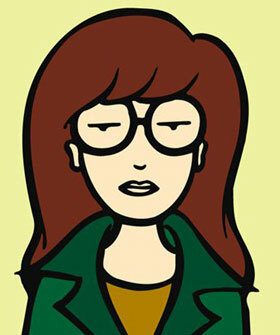 The one major exception: The animated series Daria, which ran from 1997 to 2001 and, even today, is a balm for my soul.